Where are you? 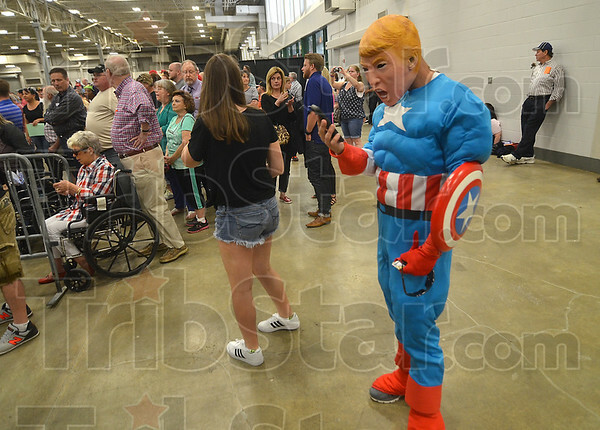 I'm in the Trump mask: Robert Keith of Indianapolis tries to call his wife in a Capt. America suit with a Donald Trump mask before the start of the Trump rally at the Indiana State Fairgrounds on Wednesday in Indianapolis.